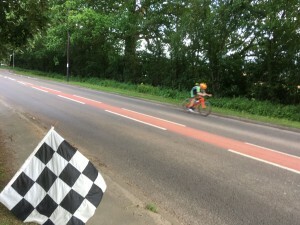 On July 31st we are trying a new hilly TT course at Bosley, especially for the hill lovers. The course is based on the old J8/9, which can no longer be used because of the road narrowing past the old Bosley Wood Treatment works. The HQ for the event will be the Harrington Arms car park at Bosley SK11 0PH. Unfortunately the pub will be closed, so there is no access to toilets, or perhaps more importantly for a drink after the event. First rider will be off at 19:01 hrs with signing on at the HQ from 18:15.